Are you ready to let the good times roll? Two Funny Girls is here to help! 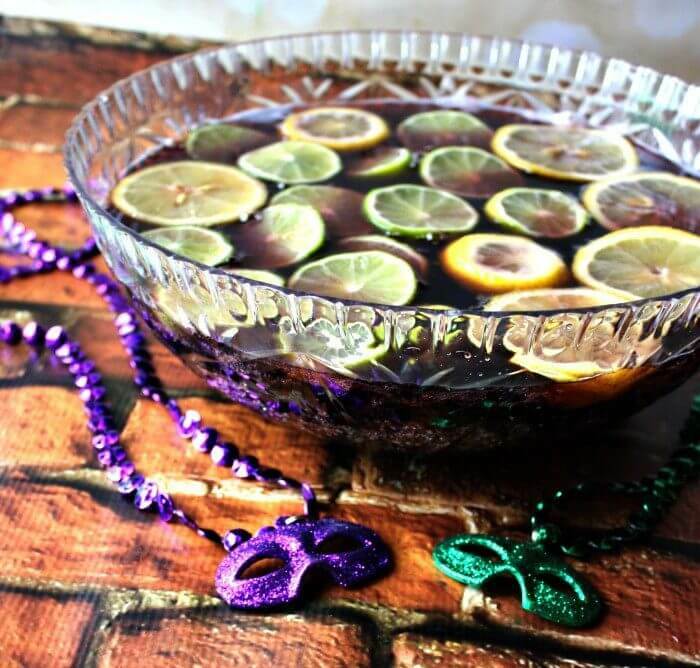 With this family friendly (non-alcoholic) Mardi Gras punch paired with our preprinted cups, custom cups, and custom napkins, your celebration is sure to be a success. This punch created by Madame Deals appeals to children and adults alike. This recipe is as easy as mixing all ingredients together and then adding the lemon/ lime slices for color. A few minutes is all you need to make a delicious drink that both adults and children will love! Our 12 oz. Small Personalized Stadium Cups themed for Mardi Gras are the perfect sized party cup. If you’re looking for something larger, we have 16 oz. customizable cups that also come with a multitude of colors and designs to choose from. Need something even larger? We have 20 oz. and 24 oz. personalized cups that come in both Soft Sided and Styrofoam. Pricing includes 2-sided or wrapped design, 1-color imprint and up to 3 lines of copy and art. To complete your party, order some of our customizable napkins to match your color scheme, too. All that’s left is to let the good times roll!